Will Infants Who Die Continue to Be Infants on the New Earth, or Will They Grow Up? Will Everyone Appear to Be the Same Age at the Resurrection? Will a child who dies at age six appear that age in Heaven? Will the man who dies at eighty appear to be eighty as he walks the New Earth? People have asked questions like these throughout the centuries. Since the larger context of Isaiah is concerned with an eternal Kingdom of God on Earth, it seems inappropriate to restrict this passage to a thousand-year kingdom that ends in rebellion and destruction of human beings. The end of sin and the complete righteousness of all Earth’s inhabitants won’t come until the New Earth. But if Isaiah 11 is speaking of the New Earth, as does its parallel passage in Isaiah 65, who are the infants and young children playing with the animals? Is it possible that children, after they’re resurrected on the New Earth, will be at the same level of development as when they died? If so, these children would presumably be allowed to grow up on the New Earth—a childhood that would be enviable, to say the least! Believing parents, then, would presumably be able to see their children grow up—and likely have a major role in their lives as they do so. Although it’s not directly stated and I am therefore speculating, it’s possible that parents whose hearts were broken through the death of their children will not ­only be reunited with them but will also experience the joy of seeing them grow up . . . in a perfect world. 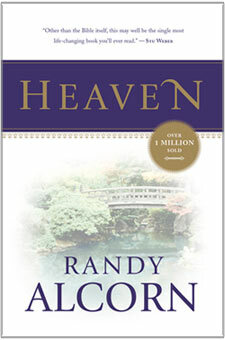 In my novels I suggest the possibility that in Heaven we’ll see people as we most remember them on earth. So I’ll see my parents as older, and they’ll see me as younger. I’ll see my children as younger, and they’ll see me as older. I ­don’t mean that physical forms will actually change but that the resurrection body will convey the real person we have known, and we will see each other through different eyes. The New Earth will be a place of both maturity and perfection. Regardless of what age we appear, I believe that our bodies will demonstrate the qualities of youthfulness that ­Jesus so valued in children. God could easily have made a way for people to come into the world fully developed, not as maturing children. But he ­didn’t. He put special qualities into children, ones we—and he—delight in. I fully expect all of us to have such qualities as curiosity, gratefulness, longing to learn and explore, and eagerness to hear stories and gather close to loved ones. We’ll be unburdened by the Curse that shrivels not just our bodies but also our spirits, robbing many of youthfulness. Jonathan Edwards stated, “The heavenly inhabitants . . . remain in eternal youth.” Heaven will be full of children . . . even if we look like adults. What we love about children is their joy, exuberance, curiosity, laughter, and spontaneity. In Heaven, whether or not anyone is the size and appearance of a child, we’ll all be childlike in the ways that will bring joy to us and to our Father. Is it Possible for Babies to Be Born in Heaven? The thinking is that since there is no marriage in Heaven (Matthew 22:30; Mark 12:25), there will be no procreation and the human race will be fulfilled in number.